Practice Engineering Mathematics questions and answers for interviews, campus placements, online tests, aptitude tests, quizzes and competitive exams. This set of Engineering Mathematics Multiple Choice Questions & Answers (MCQs) focuses on “Taylor Mclaurin Series – 3”. 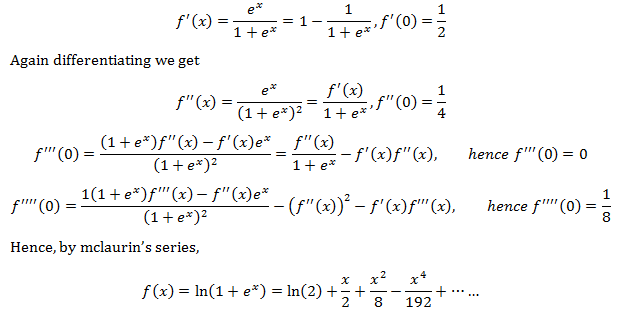 Where, f(x) should be continuous and differentiable upto nth derivative. 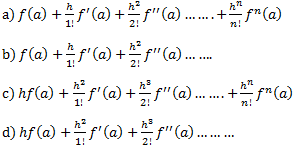 f(a+h) = f(a) + h⁄1! f’ (a) + h2⁄2! f” (a)……. 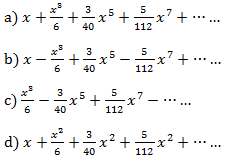 a) 1 + x + x2⁄2 + x4⁄8 +…. b) 1 + x + x2⁄2 – x4⁄8 +…. 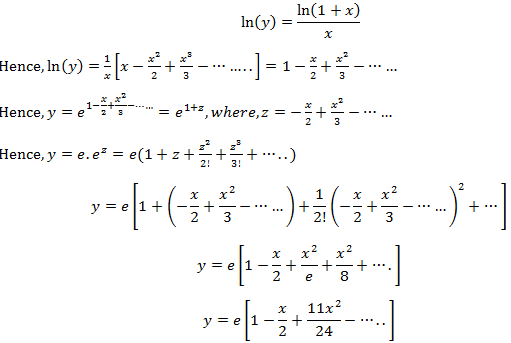 c) 1 + x – x2⁄2 + x4⁄8 +…. 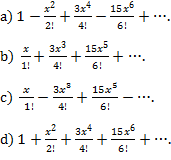 d) 1 + x + x3⁄6 – x5⁄10 +…. 8. 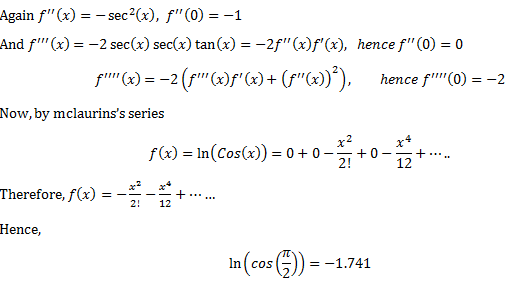 Given f(x)= ln⁡(cos⁡(x) ),calculate the value of ln⁡(cos⁡(π⁄2)). 9. 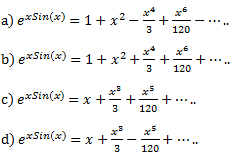 Find the expansion of cos(xsin(t)). 10. 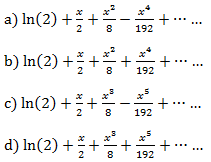 Find the expansion of Sin(lSin-1 (x)). a) e [1 + x⁄2 + 11x2⁄24 -…..]. b) e [1 – x⁄2 + 11x2⁄24 -…..]. c) e [x⁄2 – 11x2⁄24 -…..]. d) e [x⁄2 + 11x2⁄24 -…..]. 12. 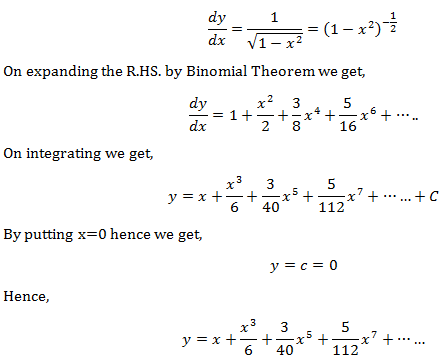 Find the solution of differential equation, dy⁄dx = xy + x2, if y = 1 at x = 0. 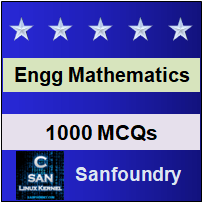 Sanfoundry Global Education & Learning Series – Engineering Mathematics. 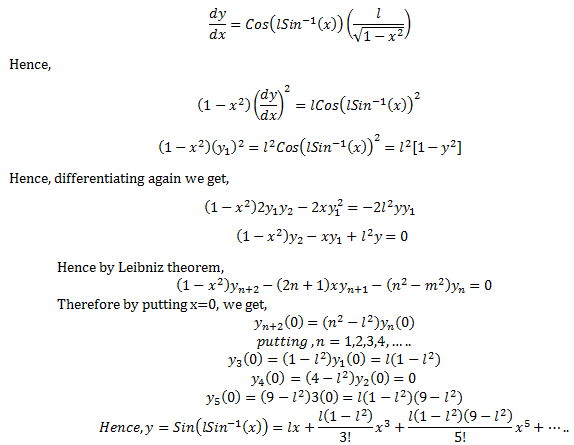 To practice all areas of Engineering Mathematics, here is complete set of 1000+ Multiple Choice Questions and Answers.